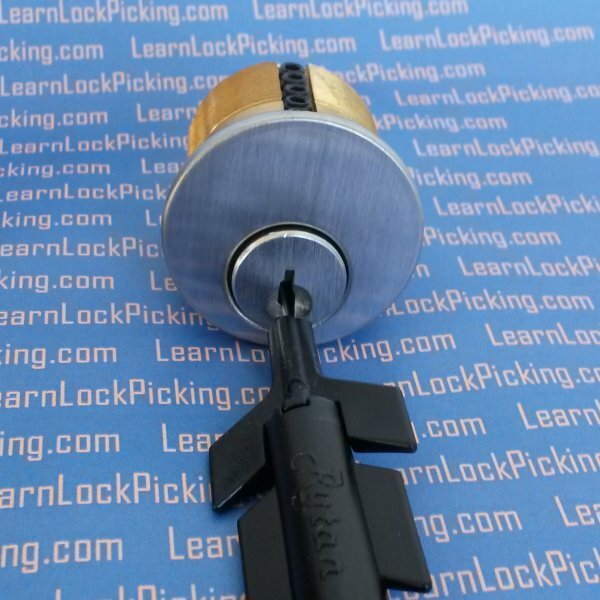 Spring loaded plug spinner solves the problem of picking a lock in the wrong direction. Flip the lock from clockwise to counter clock wise or the other way around without the lock re-locking as it passes the center position. SKU: Compact-Spinner. Categories: Lock Picks, Locksmith's Tools. Brands: Rytan. What’s a plug spinner? 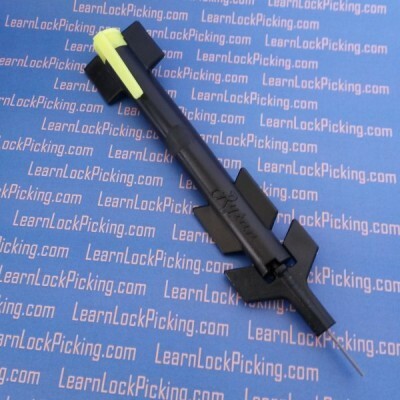 A plug spinner is a tool that solves a common problem for locksmiths and lock pickers. Sometimes a lock is easy to pick in one direction and difficult to pick in the other. Or sometimes, we pick a lock in one direction and find out we should have picked it the other way. 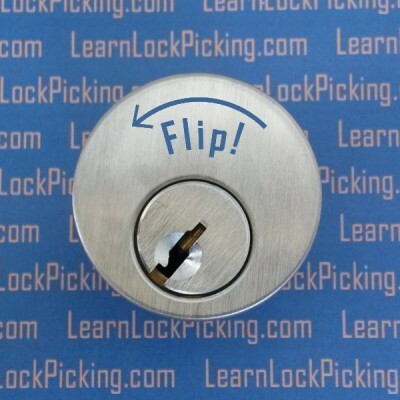 Of course if you’ve picked a lock clockwise and then try to rotate it counter-clockwise, it will just lock itself and you’ll have to start again. But what would happen if you could rotate the lock in the other direction so fast that the pins didn’t have a chance to fall back into the locked position? That’s exactly what a plug spinner does. To use a plug spinner, you twist the tip of the tool either to the right or left (depending on which way you need to spin the lock plug). You then insert the blade of the tool into the lock’s key way and press the button on the end of the plug spinner. 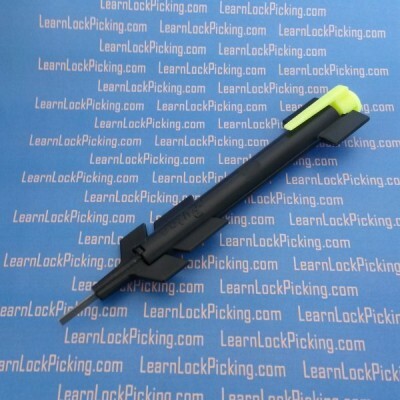 The spring loaded tool will flip the plug right past the locked position to the unlocked position opposite where you started. 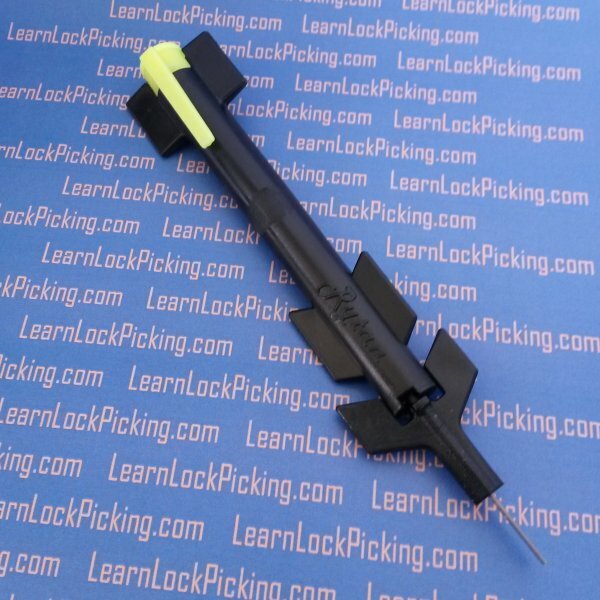 At only 5″ long, this compact plug spinner will fit right inside most zip up type lock pick cases meaning you will always have it with you when you need it. The service was great and the spinner works like a charm. It’s not something you need every day but when you do this will get the job done.